This Complaint calls into issue matters of great public importance and concern over the pervasive efforts of the Wyoming Legislature to exceed its constitutional authority and to assume executive functions. At issue are contracts and actions taken with respect to what is known as the “Capitol Square Project.” Where the Legislature has been unwilling to constrain itself to its constitutional role, the Plaintiffs ask that the judiciary set the limits of the Legislature’s constitutional authority and restore the balance of powers, confining the Legislature to those powers prescribed to it by the Wyoming Constitution. This case represents only the latest in the inclination on the part of the Wyoming Legislature to exceed its constitutional authority. This case not only calls for the judicial examination of contracting practices with respect to the Capitol Square Project, but also, the general contracting practices by the State of Wyoming. The Defendants have shown a pervasive disregard of the competitive bidding requirements of Article 3, Section 31 of the Wyoming Constitution and the procurement statutes. 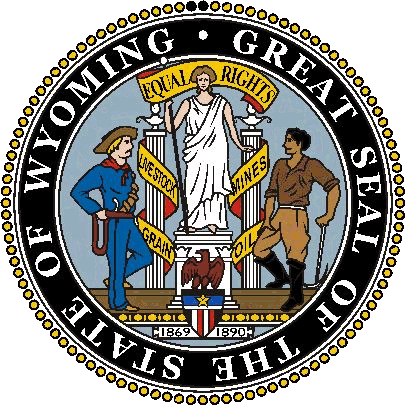 This disregard for the competitive bidding requirements of Wyoming law exposes the public to the risk of not receiving competitively priced goods and services, the risk of crony capitalism, graft and corruption flourishing inside of state government, and risking the compromise of the integrity of government and the citizens’ trust in government. This Complaint seeks to obtain rulings on constitutional questions and to correct government practices working widespread harm on the citizens of Wyoming. Government Should Not Provide Housing → ← Trump as President?